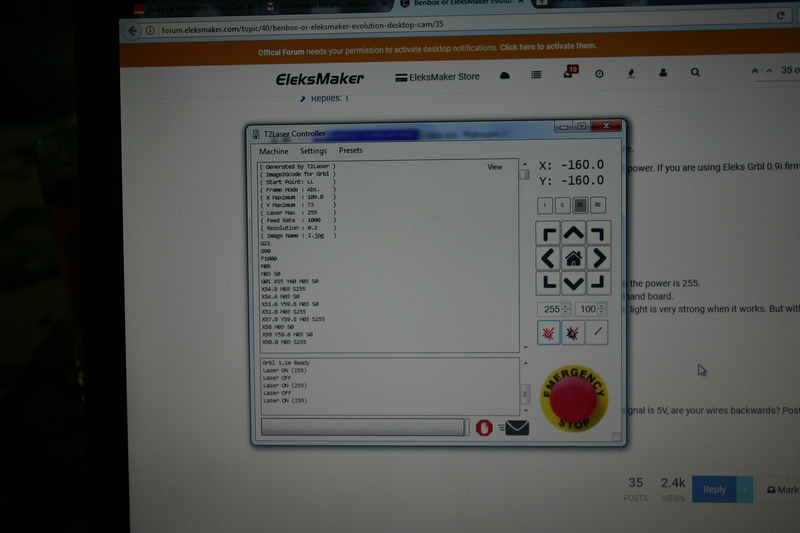 RE: Benbox or EleksMaker Evolution Desktop CAM? 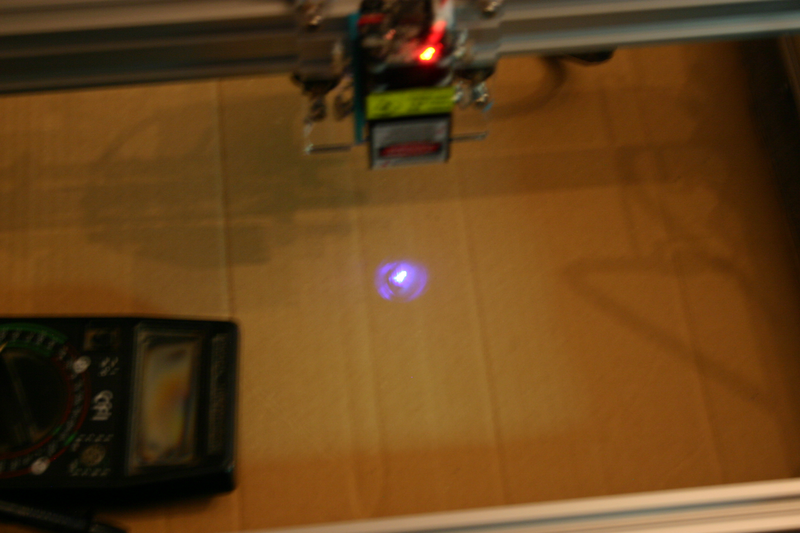 @Zax Hi Zax, I have bought a new laser, I received it last week and everything works fine now. The laser received in the kit was "dead". I have now to read your manual to use easier my machine. @Zax OK, I try to find a SW-LD45 V3.0 driver. 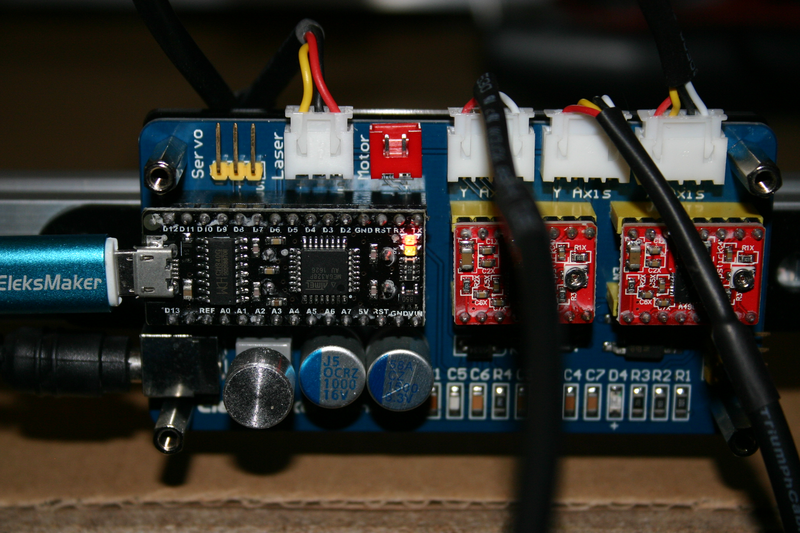 @Zax What do you think about, board is dead or laser diode is dead? RE: Source for spare parts? @EleksMaker Hi, I have bought an Eleksmaker A3 engraver on BANGGOOD march 30 2017 but I assembly it just two weeks ago. I have a problem with, the laser doesn't burn, when the power is set to "max" the laser light is very low. After measures, I find on laser command board permanent +12v between red wire and black wire and +5v on the yellow wire (TTL). This is on the 3 wires plug near the switch. 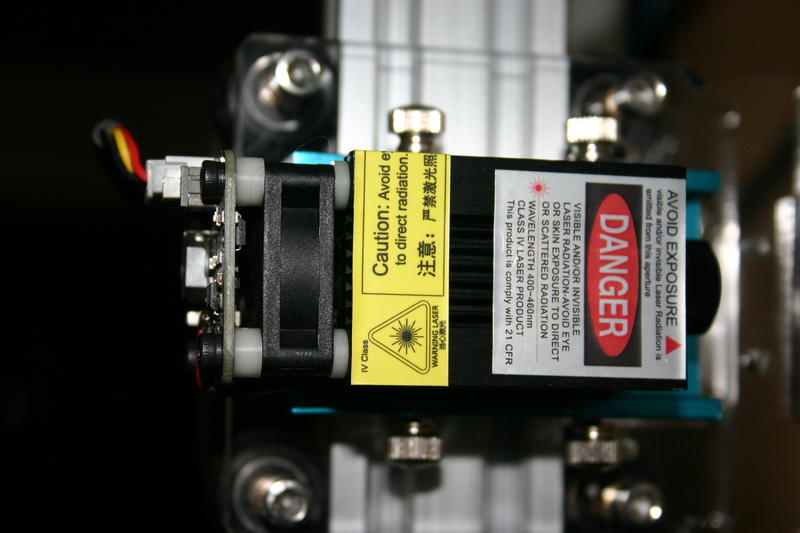 On the laser light plug (LD+ and LD-) I only read +5.02v. I think the board is out of order. What do you think about it? I work in micromecanic and electronic repair station for Air France Industry company. Unfortunatly, the Banggood warranty is out and I would like to buy a new SW-LD45 V3.0 card or a new laser with SW-LD45 V3.0 card. I live in France, I hope that it is not a problem for shipping. In full power mode, when i click on the red laser on T2 Laser controller, the TTL signal is +5v but laser is very low (5.02 v on the laser diode wires, is it the right voltage? ), when I cklick on "laser off" , on the third icon, the TTL comes to 0v and the laser light comes off. 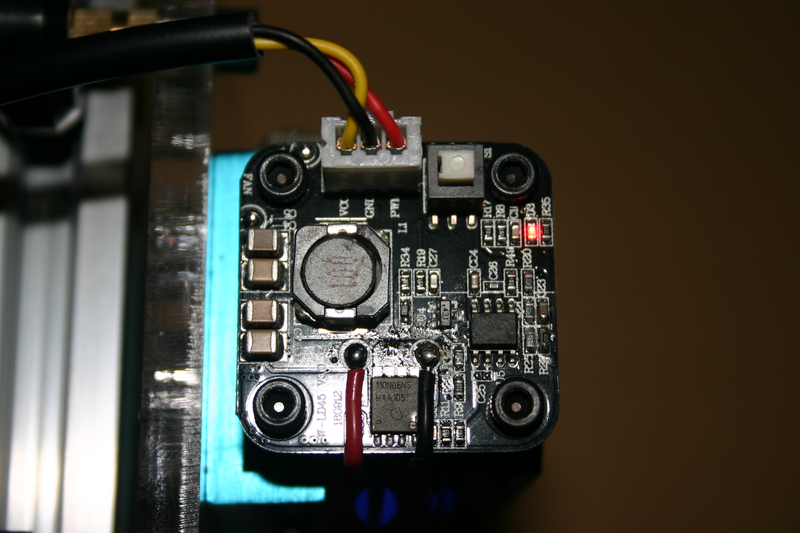 I think it is normal, the TTL command works fine but, in my opinion, the laser light doesn't works fine or the pilot board on the laser module doesn't drive the laser diode very well. What is the voltage on laser diode plugs in full power mode? @Zax I put the cable between the MANA SE controller and the laser upside down, so now, the colors are OK, red is the permanent +12v and yellow is the TTL. When you say "the problem has to be with the laser driver" you think that the board on the laser is fautly? @Zax The switch on the laser seems to be a Weak mode/Normal mode. On Weak mode,(when switch is pushed) laser is always on but "low"and the red light on the laser board is always flashing. On normal mode (switch released) red led on laser board is always on and laser is on when I put it "ON" on the T2 Laser Controller. Do you think my control board is out? @mrmister Hi, yes, the focus is the first thing I did, and the red light is always on.